Your employer is obliged by law to provide to you, without charge, any items which have been identified as necessary to protect your health & safety. You are required by law to co-operate and wear such clothing and equipment where the circumstances demand it. You must store it in an appropriate place and report any defects. Misuse or abuse of equipment provided for safety can be a sacking offence! 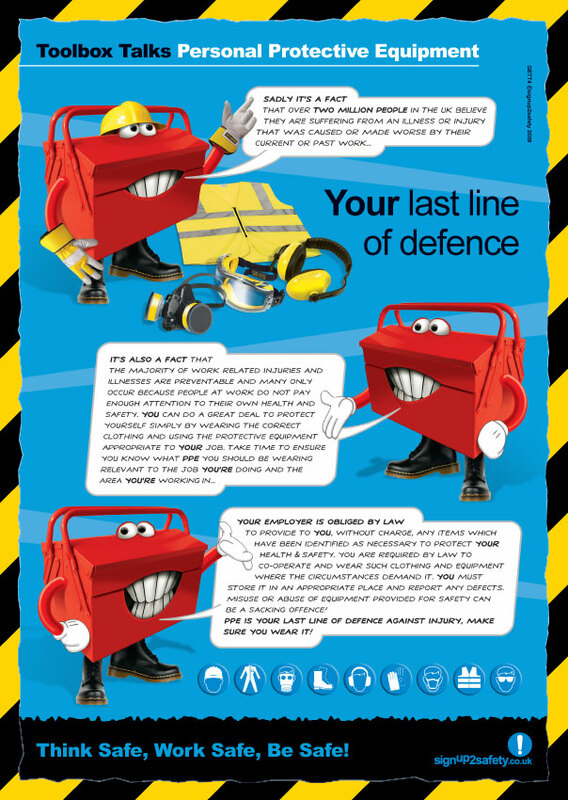 PPE is your last line of defence against injury, make sure you wear it!